That’s a picture about my sketches. The subject is the objective of my business idea: small-scale prefabs houses. In this image there are two residential cells attached together. The idea could be that you can use a single module or you can attach the small houses together like a terraced buildings. The first part of the month passed finding the best solution in terms of space and wooden structures. Nuno is a great expert about wooden construction because, recently, he has designed a school that uses this kind of technology. In that sense he continuos to survey my work giving advices. 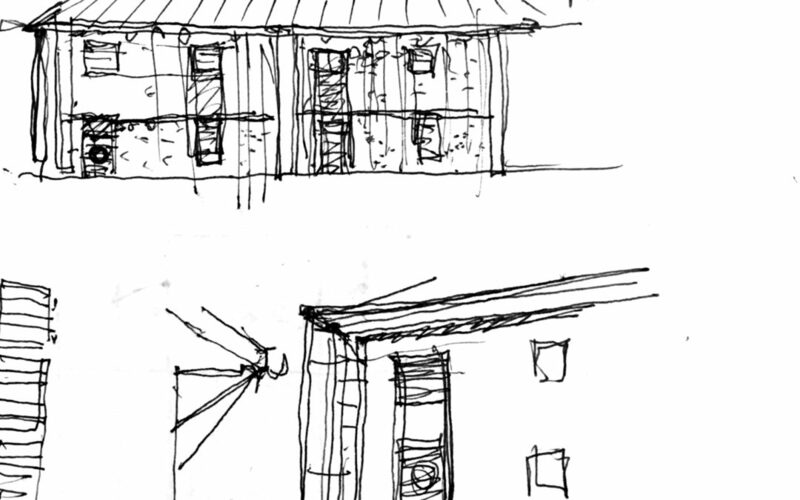 I think that, with the help of Nuno, I’m satisfied because I've found two different prototype of these kind of small-scale houses: the first much more complex and the second (that appears in these sketches) for a serial use.